Arthritis is a degenerative joint condition that can cause stiffness and pain and make your dog miserable. There are many different options for treating dog arthritis naturally and plenty of things you can do for your dog to help relieve their joint pain. We will take a look at some signs your dog is suffering from joint pain and what you can do to help them. Once pet arthritis has been diagnosed treatment for the condition can begin taking place. In addition to the conventional treatment that your vet suggests there are things that you can do at home to comfort a dog with arthritis and joint pain. Medicine, therapy, and surgery are a few of the methods that may be discussed and considered. It is extremely important for both you and your veterinarian to work together to help control your dog’s arthritis pain. Here are a few signs to look for if you think your dog may be suffering from joint pain or arthritis. If you are at all concerned you should get your pup checked by a vet. Excessive grooming, licking, biting, chewing. One thing that often is most important to dog owners is making their pup more comfortable. Several different types of pain control are available for dogs to take to help ease the suffering in their joints. While not natural, NSAIDS (Metacam, Previcox, Rimadyl, Deramaxx, etc) are very popular and can be effective medications to help reduce your dog’s pain. In addition, medicines such as gabapentin, tramadol, and amantadine are frequently used. Discuss these options with your veterinarian to learn which will work best for your dog. While these types of medications can help with pain relief in the short-term, they can be harmful to your dog if overused. While some medications work to reduce the pain from arthritis in dogs, there are things you can do to help improve the condition of the joints. These types of treatments can help to repair the damage that has been caused and reduce the inflammation that causes arthritis. One of the easiest places for you to start when treating arthritis in your dog is their diet. A switch from commercial dog foods to a more natural diet can benefit your dog greatly. Just like with us, a diet high in processed foods can cause inflammation in your dog’s body. There are some great supplements that can help with your dog’s arthritis as well. Omega-3 fatty acids. These are known to decrease joint pain by reducing inflammation in the body. You can increase your dog’s intake of good healthy fats to up their Omega-3 intake. Good sources of Omega-3 for dogs include sustainable sourced small fish like sardines, Phytoplankton, and fish oil. Be sure to avoid any commercial and farmed fish due to the high mercury and toxins. Grass-fed meats can also be a good source of Omega-3 for your dog. Turmeric. The curcumin in turmeric is also anti-inflammatory and will help to reduce pain and stiffness in your dog’s joints. It will also help to slow cell damage from free radicals and will inhibit enzymes known to cause swelling and pain. You can supplement your dog’s diet with Turmeric Chews. MSM, Chondroitin, and Glucosamine are also good supplements to add to a dog’s diet for healthier joints. They aid in the production of joint lubricants and shock absorption for healthy cartilage and joints and help to repair cartilage and protect it from breaking down. This can help to reduce inflammation, relieve pain, and ease your dog’s discomfort. This Advanced Hip and Joint Supplement includes all 3 plus turmeric as well. Sweet potato. The Beta-carotene in sweet potato can also help to fight inflammation. The amino acids build muscle and increase antioxidant activity which fights cell damage. Coconut oil. Another strong anti-inflammatory. Coconut oil can also help to lubricate the joints. The fatty acids fight viral, bacterial, and fungal infections that can all contribute to arthritis pain. It can also boost your dog’s energy levels allowing for more exercise which is good for muscles and joints. Some fruits that are full of antioxidants are also beneficial to dogs suffering from arthritis. Antioxidants help to combat the buildup of free radicals that cause degenerative disease and premature aging. These include blueberries, mango, and papaya. It is important to talk with your vet about introducing any of these supplements to your dog’s diet and to find out the correct dosage for your dog’s particular condition. Another important factor when it comes to your dog’s diet is their weight. Carrying too much extra weight can create stress on joints and cartilage and worsen your dog’s condition. Make sure your dog is the right weight for their size, breed, and age. If your pup is overweight then take steps to reduce it. Change his diet, avoid overfeeding, and ensure he is getting enough exercise. This can have a significant effect on your dog’s arthritis condition. As with human medical choices, some people opt to treat their pets with alternative therapy. Pet arthritis may be improved with some acupuncture. Physical therapy has also been known for helping arthritis pain. Lasers and hydrotherapy are being used much more frequently for controlling arthritis in dogs. These are most commonly seen in pet clinics of larger cities. At the very least, you should treat your dog to a massage to help ease their aches and pains. A new technique for healing muscles and joints in canines is adult stem cell therapy. This method has most commonly been used to aide in the repair of damaged muscles in racehorses. However, many are also finding that it works well for dogs. This is a costly treatment that involves using multiple injections to enhance the healthy growth of joints and cells. 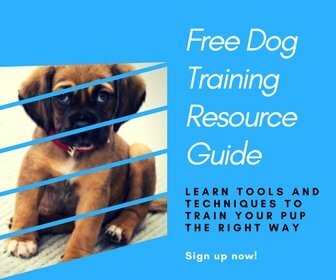 It is something you should discuss with your vet to find out the benefits and whether it is right for your dog. In most cases, it requires a combination of methods and treatments to help manage and control arthritis in dogs. Providing comfortable conditions at home, adding dietary supplements to feeding, and treatment from a vet are the best ways to help treat and manage your dog’s arthritis. For more information on pain management and natural treatments for dogs check out these articles. P.S. Help a friend with treating dog arthritis naturally by pinning this!